What kind of Hydroponic System do you have? Ask six different hydroponic gardeners what type of hydroponic system they use to grow their plants and you will likely get six different answers. It seems there are countless systems out there, because the world of hydroponics has a lingo of its own. You may hear someone say, “I use an ebb and flow, flood and drain sub-irrigation system.” What the heck is that? You might wonder. Making sense of it all is not as daunting a task as it seems. Basically, hydroponic gardening can be broken into two main categories; Solution Culture Systems and Medium Culture Systems. As you might have guessed, a Solution Culture System is one that grows plants in a liquid solution with no solid medium to hold its roots. There are three main subsets of a solution culture system. They are; Static Solution - which grows plants in a liquid solution, usually in a jar or bucket, in which the solution is not aerated. 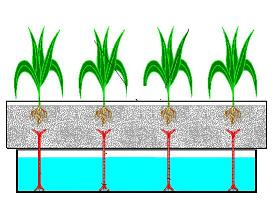 Continuous Flow Solution – in which the roots of the plant are continuously sitting in a flow of liquid solution, where a pump creates the continuous flow. Aeroponics – a system that mists fine droplets of nutrients to the roots in a continuous and discontinuous fashion. As you may have also guessed, a Medium Culture System is one that grows plants using a solid grow medium for its roots. The subsets of this type of system are usually named for whatever type of medium they are. 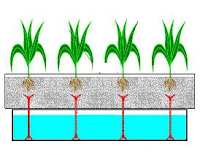 For example; rockwool, clay, coir, perlite, sand, vermiculite, etc… The water in these types of systems is usually in the form of a sub-irrigation or top irrigation system. For those of you that haven’t tried growing hydroponically, because making sense of it all seems impossible, give it a try. Hydroponic gardening is an easy, fun and very low maintenance form of gardening. Michele Daniels of Grow Home Organics, distributor of organic nutrient amendment and growth enhancers for plants, is a contributing writer for Mike the Gardener Enterprises, LLC, who operates the largest Vegetable Gardening page on Facebook and the widely popular Seeds of the Month Club. Everyone knows plants need sun and water, but most people overlook the importance of a good soil base. New gardeners assume that they can simply bury seed in soil, water it, and give it plenty of light and it will grow. To a certain point, it is true that seed will grow in any soil. Plants are resilient and they often find a way to adjust to the environment in which they are planted. It is not even uncommon for bulbs—whether they are flower or onions bulbs—to grow without water sun or soil. Many gardeners can testify to the strange miracle they find when sifting through a box of onion bulbs and stumbling across one that eagerly began to send a tender shoot out into the world without any encouragement. At the same time, few things are more frustrating than tending to a garden that should be in full stride only to reap no fruits. Without a careful assessment of the situation, new gardeners often overwater their plants, causing further damage. The first culprit to check should always be the soil. When a tomato bush will not produce fruit or a flower will not bud, it is almost always because the soil they live in lacks important nutrients for their growth. Well-balanced soil has a mixture of primary, secondary and tertiary nutrients (or macro and micronutrients). The most important three are nitrogen phosphorus and potassium. Sandy soils tend to lack these nutrients and must be fertilized for optimum plant growth conditions. Clay soils tend to be rich in these nutrients, though plants may struggle with nutrition delivery if the soil is too compact. A gardener must determine whether the soil is sandy or compact. Sandy soil should be mixed with enough firm garden soil to shore it up and give plant roots something to bite into. During this process the gardener can make sure to till a nutrient fortified fertilizer into the mix. Clay requires the opposite treatment. Clays are more difficult to prop up for the best gardening results. Because they have high levels of primary nutrients and settle compactly, clays are often acidic in nature. Higher acidity is good for growing blueberries and nondeciduous plants, but most garden-variety vegetables need a pH neutral soil. The benefit to laboring for a well-balanced soil is higher fruit production. There are thirteen important soil nutrients. Most naturally occur in soil as organic matter decomposes and redistributes into the ground, but many gardeners need a boost on one or more of these nutrients based on geographic location. When all three primary nutrients are available for plant growth, gardeners will be pleasantly surprised with the fruit heavy branches their garden plants produce. In a perfectly blended soil, less work by the gardeners hand will still be rewarded with more produce. Jody Sperling is a contributing writer for Mike the Gardener Enterprises, LLC, who operates the largest Vegetable Gardening page on Facebook and the widely popular Seeds of the Month Club. It seems as if every one of our neighbors and relatives received one of those Keurig individual coffee makers. If you are not familiar with them they are pretty neat, especially if you want to enjoy a quick, fresh cup of coffee. They give you the flexibility of making an individual cup of coffee in a wide range of flavors (over 200 the last time I checked their website) without having to make a whole pot, measuring the grounds and so on. Mike Podlesny is a contributing writer for Mike the Gardener Enterprises, LLC, who operates the largest Vegetable Gardening page on Facebook and the widely popular Seeds of the Month Club. You are likely bombarded by gardening magazines and catalogs that tell you oh, if you are going to start from seed, you need all of these supplies, and the price tag alone is enough to put you into shock! Peppers and tomatoes, among all of them, are the worst culprits by far. If you have done your research, you know that tomatoes and peppers need an average germination temp of 75-90 degrees, preferably from bottom heat (best results are achieved by bottom heat IMO). The catalogs tell you to buy seed heating mats. Well, if you've ever priced these out, they can cost a pretty penny! They usually average $30+ for one of a decent size. Now before you stroke out at the price tag, there is a much easier solution! I personally use heating pads. Yes, the ones made for people! They work just as well, and come in every shape and size imaginable, and they are often 1/2 price or less! However, if this is the way you want to try, make sure you do your tests first! Rule number one above all, NEVER leave them on when you are not at home where you can check on them once in a while. I can't stress that enough; I never leave ANYTHING that produces heat on when I leave the house, it is not worth the risk! Second of all, always do a test run. Get your seedling tray, fill the cells with your choice of soil, but do not plant the seeds just yet. Put it on top of the heating pad, and before putting a dome lid on, put a small thermometer (or even two if you want to be extra careful and want to average out the difference). Let it run for an hour or so, and check the temp. This will allow you to know what kind of temp you are going to be looking at, so you can adjust accordingly without damaging your seeds. I find that about 85 degrees does wonders for tomatoes and peppers. My tomato seeds all sprout between 3 and 5 days, and the peppers take about 5 to 8 days. A much faster time frame then most seed packets tell you! Something else I have found extremely helpful, is to add a few sprinkles of cinnamon to the top of the soil every week. Cinnamon has natural antifungal/antibacterial properties, which means it easily prevents damp off if applied regularly. Bye bye No Damp! Megan McDonald is a garden blog writer for Heirloom Garden Girl. Megan’s garden specialties are tomatoes, peppers, heirlooms and organics. She is a contributing writer for Mike the Gardener Enterprises, LLC, who operates the largest Vegetable Gardening page on Facebook and the widely popular Seeds of the Month Club. If you have not seen this video yet, you absolutely must. I could not stop laughing. Whether you start your vegetables directly from seed or you buy a plant from a local garden or home center, you won’t give it much of a chance if your soil is simply not that good to begin with. What I mean by that is, and this stems from a conversation I had with a friend, if your soil lacks in nutrients or the pH level is too high or too low, seeds may never germinate and plants will never grow to their full potential. Then what happens is you blame the seeds, maybe they were too old, or the plants, ah they looked dead to begin with, as opposed to getting at the root of the problem…literally. Like a skyscraper, your plants need a solid foundation. If a skyscraper has a poor foundation it could never get built because the base would never be strong enough to support it. Same goes for your plants. 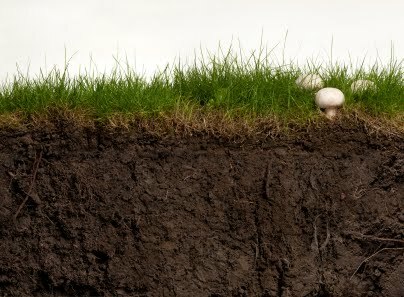 If you have a poor foundation, in this case your soil, they will never grow. You are in luck. There is one technique you can implement immediately that will have a long lasting effect on your foundation for many years to come…composting. 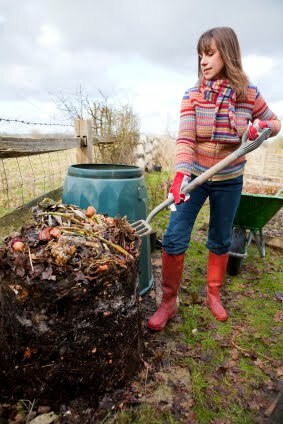 Composting is when you take organic material (i.e. leaves, twigs, grass clippings, last night’s left overs etc.) and let them decompose into its final usable product, humus. There are a number of ways you can compost, and which one you choose should not only fit the amount of space that you have but your lifestyle as well. For example, trench composting, which I will touch on again in a moment, is one of the easiest and least labor intensive forms of composting is virtually ideal for anyone, especially those with very little time. You dig a big hole (hence, trench) and dump your organic material into the hole and then bury it. Nature does the work while you are hard at work uploading your vegetable gardening photos to our Facebook page. Other forms of composting include vermicomposting, the use of red wiggler worms to do the work, and a compost pile. A simple Google or Bing search on any of these will give you step by step instructions on how to get started. Always start small. I recommend you keep a big Tupperware bowl close by where you can put your coffee grinds, egg shells and food left overs in so you can bury them in your garden. When the Tupperware bowl gets full or near full, take it out back and dig a hole about 24 inches deep, put the contents of the bowl into the hole and then cover. Repeat these steps over choosing a new location each time and never use the same location earlier then 1 to 3 months. On a side note, do not bury steak or ham bones or meat for that matter. The bones will never break down and the meat could attract unwanted rodents. After you get the hang of trench composting move on over and start a compost pile. This is where you will put all of your leaves, twigs and grass clippings. Over time the pile will breakdown into a nice, rich soil that your plants will love. Just remember to turn the pile over with your pitchfork once in a while. It will help speed things up. So why do you compost in the first place? Beyond the “keeping it out of the landfill” aspect, composting adds nutrients into your soil, creates volume in your soil which allows for better soil retention and water drainage and helps maintain a constant yet beneficial soil pH level. All items you need in order to grow healthy and safe vegetables. The number one issue of most home vegetable gardeners that I talk to that aggravates them the most are weeds. The getting down on your knees with a pair of good garden gloves, gripping the weed tight, pulling the persistent pest in the hopes that you get the root, only to find out that a few days later you didn’t, and the weed is back. This describes a common problem that we all face as home vegetable gardeners but are some others. To get more answers I turned to, where else, our Vegetable Gardening page on Facebook where we received a plethora of answers. Here are the most popular. They are cute and cuddly until they get into your lettuce patch and then they become something on your wish list for tomorrow night’s dinner. Many remedies were listed from human hair to the family dog and everything in between. Regardless of the remedy the rabbit was the top critter on the list of annoyances. Not an issue where I live, thankfully, but for many of our responders, deer rank right up there as a problem. Due to their size and their appetite your garden is an inviting atmosphere for them, especially if you leave it unprotected. Six foot high fences and coverings were listed as potential deer deterrents, although one person did say a shotgun during hunting season works well. I’ll leave that up to you guys. I can attest to this one. Nothing can be more aggravating than the unpredictability of the weather. Just when you thought the fear of frost was gone, bang, mother nature laughs at you and delivers a nice healthy dose of frigid temps overnight, delaying your vegetable gardening season. I am fortunate as I do not have this issue. My neighbors do not have any pets besides the indoor domesticated fish, more commonly known as the goldfish, although I doubt the fish will be hurting my garden anytime soon. However, for a lot of responders the neighbor’s cat is a big problem because it likes to use their gardens as the litter box. Many simple told their neighbor and the issue seem to go away, but for some it took trapping the cat. Use your own judgment, they are your neighbors. There were countless others posted, too many to list here, and I am sure you have your own. There is no question obesity is a rising problem for many here in the United States. The United States Center for Disease Control rates obesity as a person having a body mass index of 30 or greater. The body mass index, or BMI for short, is calculated based on the person’s height and weight and provides a reasonable indication of body fat, which could lead to further health issues. BMI = Weight(pounds) / (Height(inches) x Height(inches)) x 703. To put in perspective just how great the problem is, in 2009 Colorado was the lowest BMI at 18.6% while Mississippi topped the list at 34.4%. Obesity has become such a big issue in this country, especially childhood obesity that it has become a topic to tackle by first lady Michelle Obama. Without getting into much politics, obesity of all age categories is definitely something we should and can easily tackle. I recently posted this very question on our vegetable gardening Facebook page to see what kind of ideas the good folks came up with. Specifically the question that I raised was how we can tackle obesity in our children by incorporating vegetable gardening. The answers were many…too many to list here so I am going to mention the most popular ones. I see this in my own children if you do not keep it fun and light you will lose their attention and quickly. So those studies about the length of time and the amount attention span and a child has, are very accurate. We all agreed that making vegetable gardening fun is a great way to keep kids involved in vegetable gardening. One of the things I did personally for my son was buy him his own garden tool set. Sure they are toys, but he has the same tools as “dad” and when dad gets the shovel, so does he. It makes him feel involved. When it comes time to harvest the fruits, herbs and vegetables I make sure that I get my son involved. For smaller items such as radishes and cherry tomatoes I let him do the picking. For larger items such as butternut squash, I will pick them and let him carry it to our patio table. I can see the excitement in his eyes every time we go out to pick new things. A popular post, especially for the older kids (7 and over), is to let them have their own 4’x4’ plot in your yard where they can plant whatever they want. This is a great method because you can teach them how to plan out the garden so they can maximize the space and grow things they like. My son loves broccoli. Yeah I know I got lucky, and every year we plant two Waltham Broccoli plants just for him. I make sure I tell him that those plants are his and when they are ready he can eat them. He gets pretty excited about it. It is a lot of fun to watch! Finally, and just as important as the healthy eating of the fruits, vegetables and herbs that you grow is the exercise factor you get from home vegetable gardening. 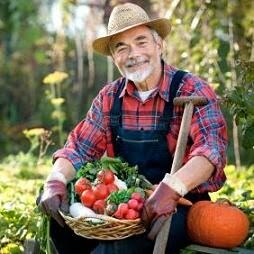 If you do a lot of the gardening tasks manually as I do, then you already know that it can be a good vigorous exercise routine. It is not always this way, everyday, but at least you are moving around, doing somewhat physical labor as opposed to sitting and watching TV, playing video games and so on. The same holds true for kids. I love asparagus. You can steam it, grill it, deep fry it, you name it. Most importantly, beyond all my favorite recipes, I am fortunate enough to live in a climate suitable to growing it. It is not a hard vegetable to grow, but unfortunately for asparagus they have a natural predator called the asparagus beetle. As their name would imply, they attack asparagus. As soon as the spears of the asparagus pop through the soil, these beetles will begin to feed on them. If that wasn’t bad enough, they will also lay their eggs on the spears from which the larvae will appear and grow into mature adult beetles that will wreak more havoc on your plants. Asparagus beetles are about the size of a ladybug and they come in many colors, most notably brown. Although, they can be seen as commonly in blue, black and other darker shades. They are harmless to humans so the first line of defense is simply handpicking. This is best done when there are not too many to handle. Simply pick the beetles and larvae off of the asparagus and put them in a coffee can filled with syrup, molasses or some other sticky substance so that when you put them in there they can’t get away. Once you are done picking them off the plants, seal the can with a lid, tape it shut, and throw it away. 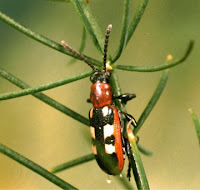 A second way to naturally get rid of asparagus beetles is to attract other insects that are harmless to humans and your garden, but deadly to the beetle. One such insect is the ladybug. Ladybugs will feed on the larvae of the asparagus beetles which will control the beetle population making it possible for you to get rid of the adults via the means mentioned in the previous tip. Plant plenty of cilantro, dill or fennel and you are sure to attract all the ladybugs you will ever need. 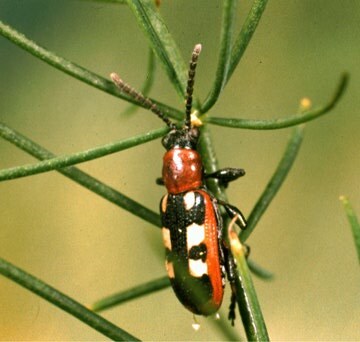 A third approach and a faster way to control asparagus beetles is to us a botanical spray like neem oil. It is available at any garden center for less than ten dollars and works extremely fast. Combine all three of these tips above and you are sure to keep your asparagus plants, beetle free, healthy and safe. Is Hydroponic Gardening for you? The concept of hydroponic gardening seems to go completely against everything we have been taught and are familiar with, in gardening. How can it be? How can it work? How can you grow plants without soil, indoors? Hydroponic gardening in fact, has been around since the Hanging Gardens of Babylon. The term hydroponic , comes from the Greek word “hydro” which means water, and “ponic” which means labor. 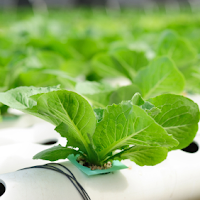 It hasn’t been until recent years though that the popularity of hydroponics in the marketplace has increased rapidly. More and more people are trying this system and learning that hydroponics is one of the best ways to grow heartier, healthier fruits, herbs and vegetables, right in their own homes. The concept seems difficult, but it is really rather simple. By using a controlled environment, controlling the air temperature, the water and nutrient inputs, and not having to worry about pests, you can grow bigger, healthier plants, in a shorter amount of time and increase your yield by 3 to 10% depending on your system. Relying on Mother Nature to provide the perfect scenario to garden outdoors can be risky, as we have seen most recently with the freeze down in Florida. Commercial farmers down south are struggling to save their crops from this latest event. Getting started with a hydroponic system is very easy, and once set up, your hydroponic system is extremely low maintenance. Believe me I was a skeptic until I tried it. Seeing is believing. A seed really can grow in a container full of pellets or wool, placed in a stream of cycling water. Michele Daniels of Grow Home Organics, LLC is a contributing writer for Mike the Gardener Enterprises, LLC. Grow Home Organics is the maker of Quantum Growth, a consortium of over 20 strains of beneficial bacteria that help boost major plant health functions. The start of a new year always spurs thoughts of hope, dreams to be achieved and desires to be fulfilled. Whether it is being successful at those new resolutions you just set for yourself or just trying to make the New Year a little better than the previous year for your family, there are items on your to-do list that you need to tackle every day. Here is one resolution to add to your list if you have not done so already, home vegetable gardening. It does not matter if you are new to the hobby or have been growing your own food for decades, set some time aside to plan out a successful vegetable garden this year. Set up your list and make another resolution which I will talk about at in a moment. Maybe I am a bit biased because I love vegetable gardening and growing my own fruits, vegetables and herbs at home, but I cannot think of too many other tasks that have such a wonderful return where you truly get to eat the fruits of your labor. I like woodworking also, but I wouldn’t eat that new gazebo I just built. The best part…You get to decide what to grow, when to grow it, how to grow it and how much of it you want to grow…In other words, a sense of freedom like no other. First and foremost when you are planning out the New Year’s home vegetable garden, start with writing a list of the vegetables, fruits and herbs you want to grow. Do not think about the size available to grow it in right now, this step is to simply put on paper your garden “wants” so to speak. Now that you have your list, organize the list arranging them in the order of the fruits, vegetables and herbs you know you and your family will most likely eat to items you would like to grow if time and space allow. With your new organized list in hand, mark next to each item how much of each you would like to grow. For me, as for my wife and kids, I love tomatoes, cucumbers and zucchini. I mark down the number of plants I believe I would need to grow in order to have more than enough for everybody. With your list and quantities complete, mark out what you actually can grow based on the size of the land you have available. Don’t forget about container gardening that can increase your growing space and potential yields. Obviously this is just a quick starter for your New Year’s home vegetable garden resolution but it will get you going in the right direction. As for the second home vegetable gardening resolution I mentioned earlier…put down on your to-do list to complete by the end of the year one new item in gardening you have never tried before. For example, maybe you want to start collecting rain water, or have a compost pile, or grow a row of veggies for your church or local food shelter. You get the idea. So as we embark on a New Year with uncertainty before us, we can make the future whatever we want it to be. 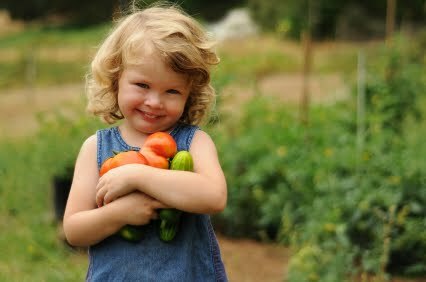 Make vegetable gardening part of that future; put some fresh food on the table. You won’t be disappointed. 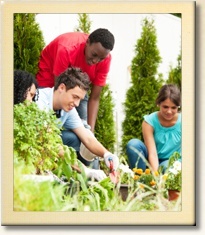 If your school has a gardening program or is thinking about starting one, then you are in luck. Mike the Gardener Enterprises, has announced they are going to award ten schools with three year subscriptions to their Seeds of the Month Club (averagepersongardening.com/seedsclub). “We want to give back to communities and being able to offer up our vegetable seeds to help enhance and grow school vegetable gardens, is a great way to do just that,” said Mike the Gardener owner Michael C. Podlesny. To enter your school for a chance to obtain one of the ten, 3 year subscriptions, visit averagepersongardening.com/schoolapplication and fill out the online application form. The deadline to submit your application is January 31st, 2012. Winners will be notified on or about February 17th, 2012 and schools will start receiving seeds in March of 2012. Just in time for spring.